Physical Design & Sustainability - Charles Marohn, Strong Towns from Michigan Municipal League on Vimeo. The bigger point is that as we look ahead to how we should redevelop downtown Mound, we should be taking a lesson from the past. Experts are fine, and we should hear what they say, but it's Mound residents, that need to decide what is best. Mound needs to think strategically and build places first and foremost, for the citizens of Mound and MUST look to craft a place for people, otherwise just throw away all those "Metropolitan Council Livable Community Development" grants and awards it's received the last few years away in the trash. We can't get caught up in the Lake Minnetonka hotel race underway right now. 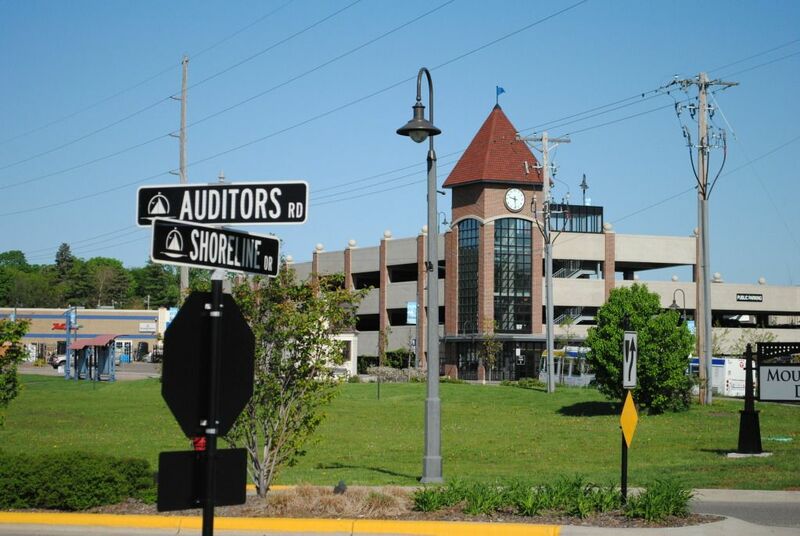 Mound is now experiencing developers selling plans and concepts to redevelop Auditors Road. They are in city hall right now and we are going to hear about them (to some degree) on Monday night. I am sincerely afraid that the City of Mound could potentially be giving a developer free land and a TIF agreement so it won't have to pay any property taxes for the next 25 years along Auditors Road. Mound needs to wrap it's head around the fact that it needs to become and act like a place to drive to first. It needs to stop being afraid of dealing with Hennepin County bureaucracy and create some on street parking. Mound needs to stop looking for direction from Wayzata and Excelsior, and just take care of itself, and do what is best for Mound today AND for Mound tomorrow. Mound should be taking care of what it already has along Commerce and it's tax paying property owners. That means building places of value, in aesthetic, functional, and financial means.